If you need a six, off the final ball. Who you gonna call? Liam Plunkett! After being thumped in the test series 2-0 by England (saved by the weather in the third), Sri Lanka wanted to strike back in the One Day Series – and after racking up an impressive score to begin with, England fought back. 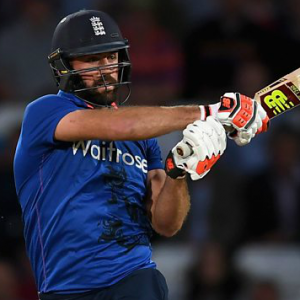 With one ball left of the game, England were six behind Sri Lanka. They couldn’t win it, but they could at least get a tie (despite having one wicket less than Sri Lanka, this wasn’t taken in to account). So up comes Liam Plunkett, one last time. He’s gotta smash it for six, otherwise the visitors take a 1-0 lead. Duly, he delivers in style and ensures England won’t fall behind to begin with. A concern for both sides is how they lost early wickets so cheaply – England at one point were 30-4; likewise Sri Lanka had a better but still uncomfortable 56-3. Look for this to be addressed next time out.